● A great toy which combines mat and fitness rack. 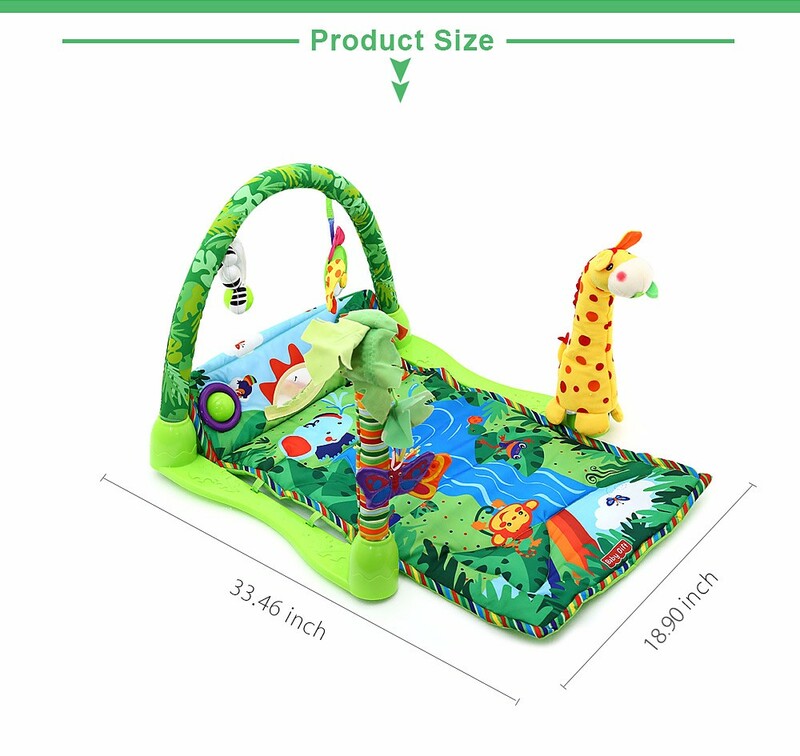 ● Suitable for baby aged above 6 months. 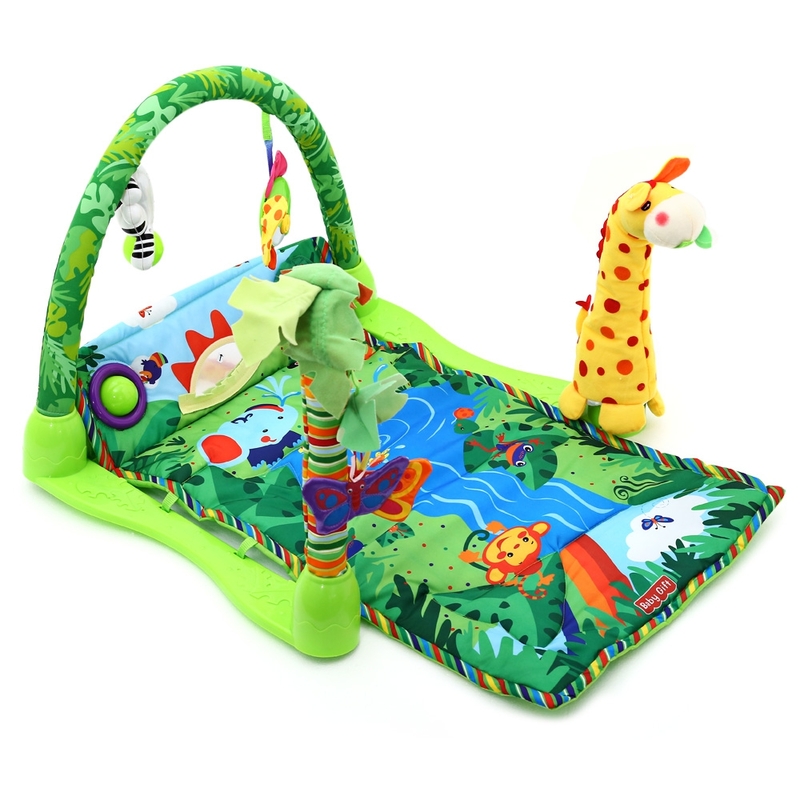 ● 3 modes to play: Lay and play, tummy time, sit and play, can convert according to baby’s ability. 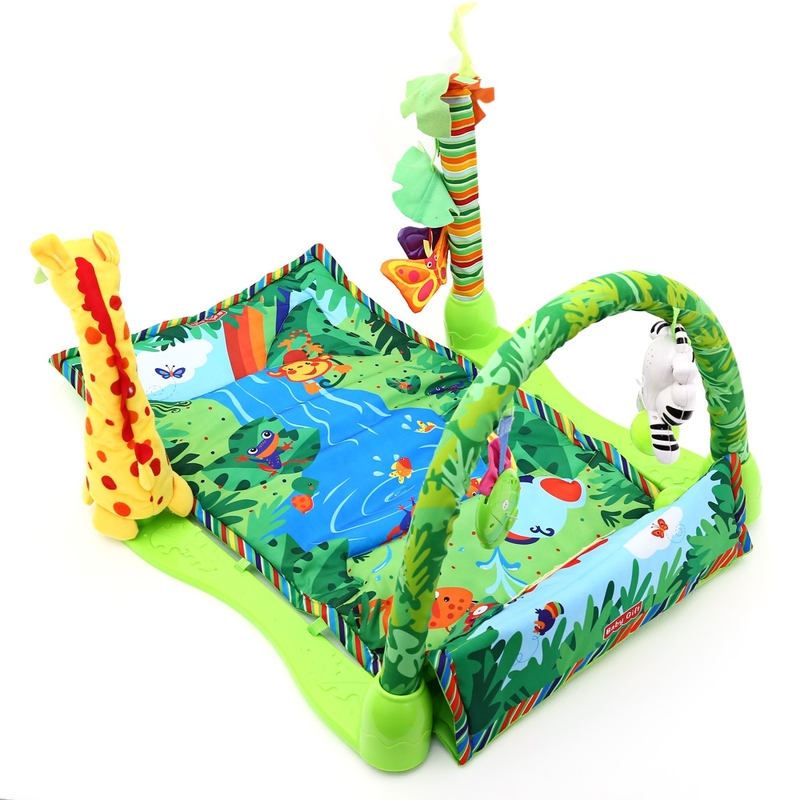 ● Rain-forest scene display, colourful and cultivate baby’s curiosity to the world. 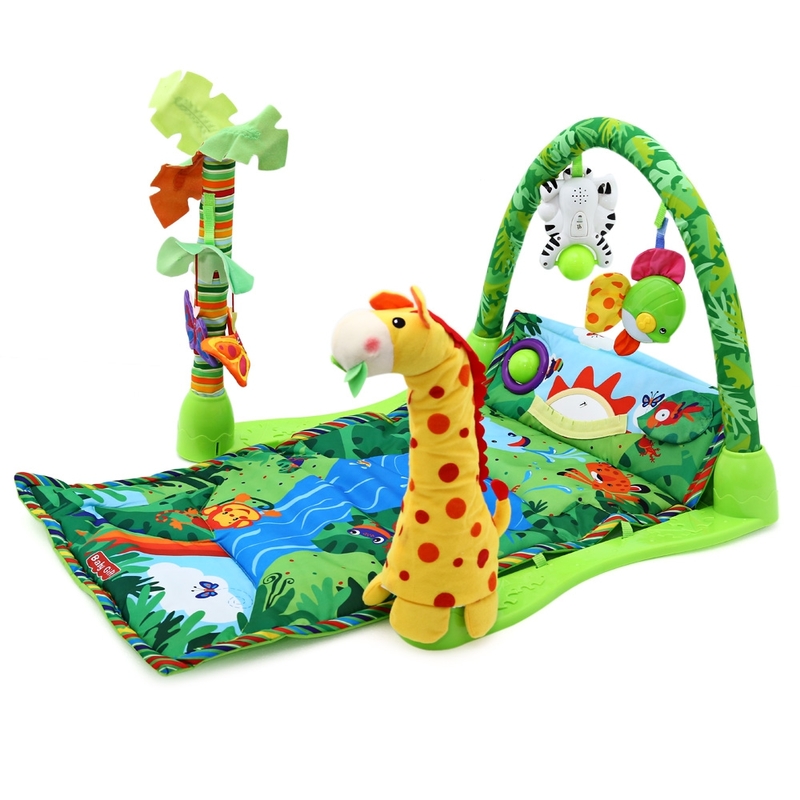 ● Develops motor skills and eye-hand coordination with toys to bat, grasp and kick. ● Hanging toys can encourage kids to kick, bat and grasp, strengthening baby’s arm, leg, neck muscles. ● Lively music enhances listening skills. ● Colourful graphic patterns offer visual simulation. ● Made of ABS and fabric material, safe and non-toxic. 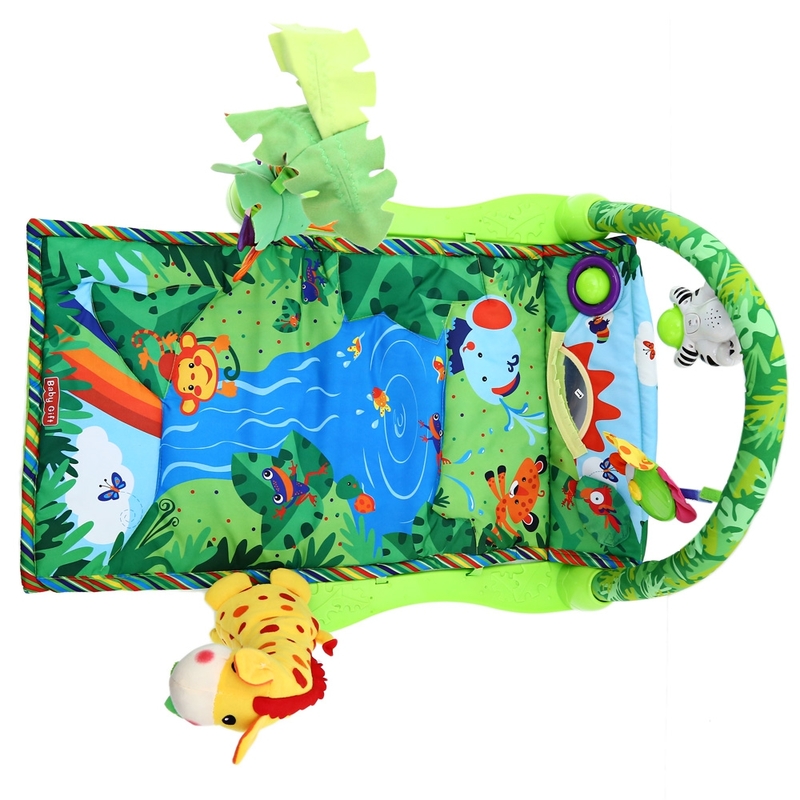 ● Mat size: 85 x 48 cm / 33.46 x 18.90 inch, large enough for your baby to play and crawl. 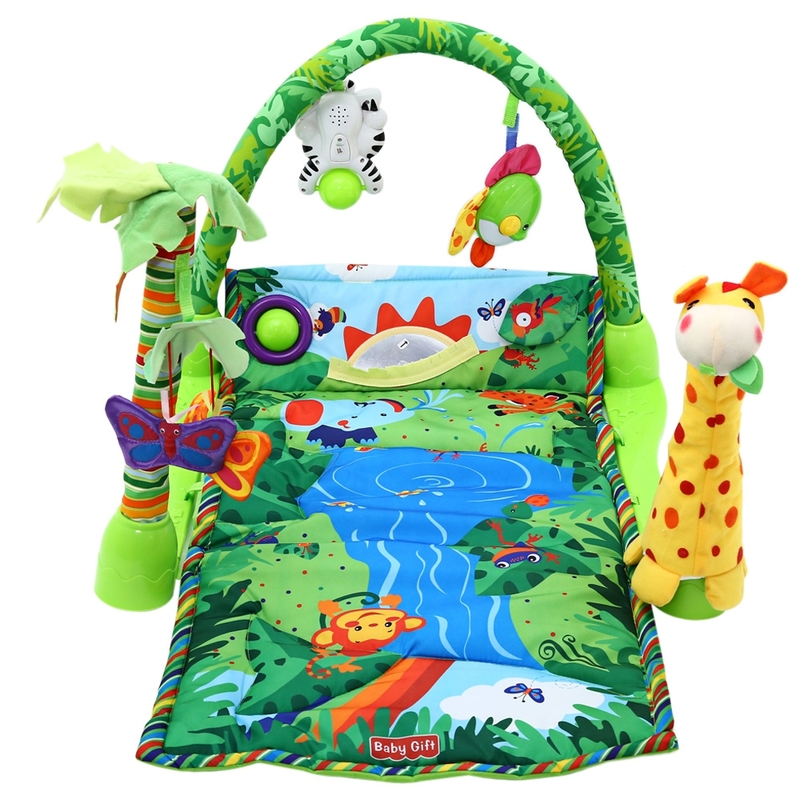 ● The toy set includes: 1 x comfortable mat, 1 x flexible removable arch tube, 2 x green rack, 1 x palm tree, 1 x giraffe, 1 x musical tiger with ball, 1 x musical fish, 2 x butterfly. СПАСИБО !!!!! ВСЁ ИДЕАЛЬНО !!!!!! !